Lately I have been craving Asian food.... 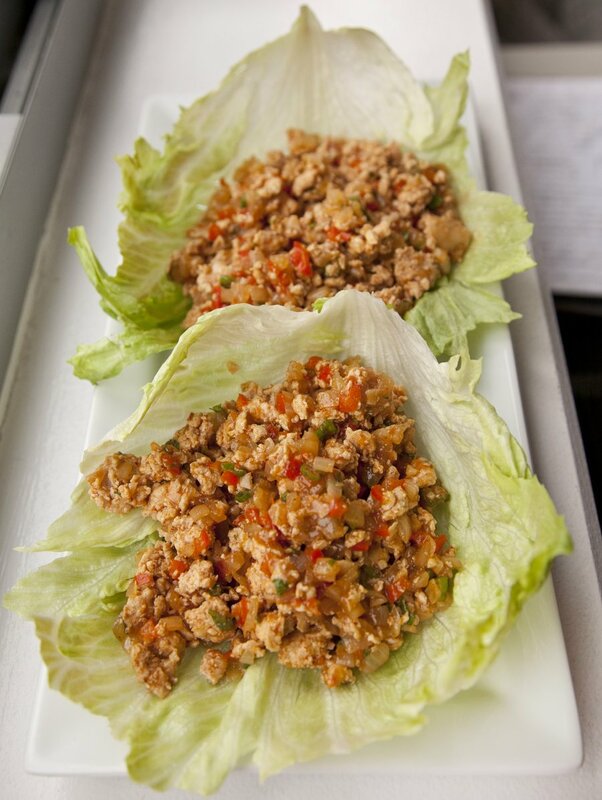 I recently posted my General Tso's and my Shrimp and Pork Dumplings and today I decided to do Asian Lettuce Wraps. I love the taste of Hoisin Sauce so I wanted that to be the primary flavor. 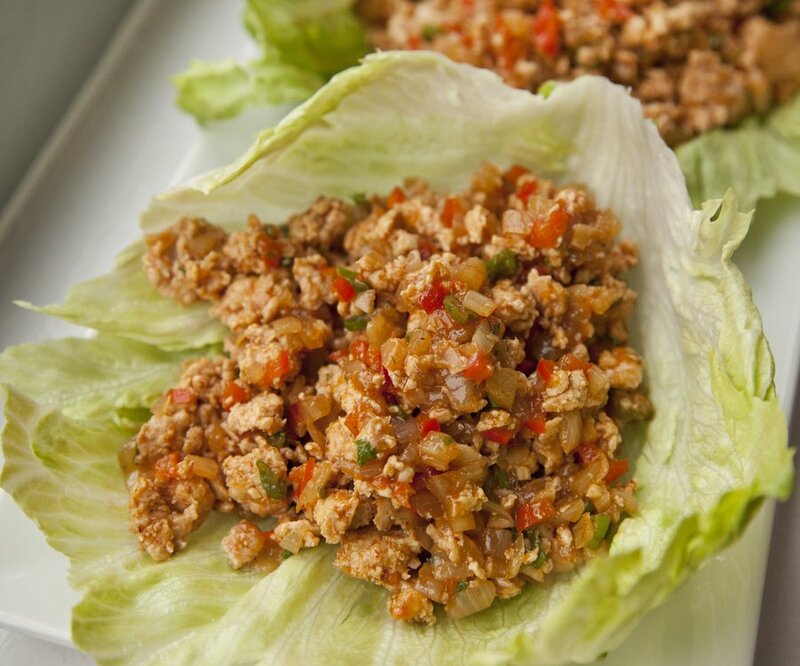 I used Ground Chicken because let's face it, it's a fairly tasteless meat and takes on whatever flavors you cook it with. 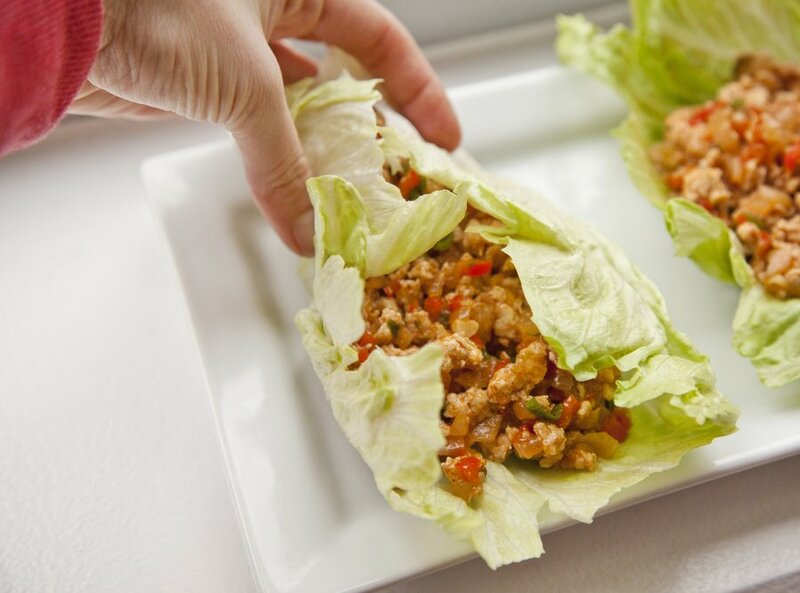 For the wraps I actually used Iceburg Lettuce but you can try Romaine, Bibb, Boston, Cabbage....whatever you like! 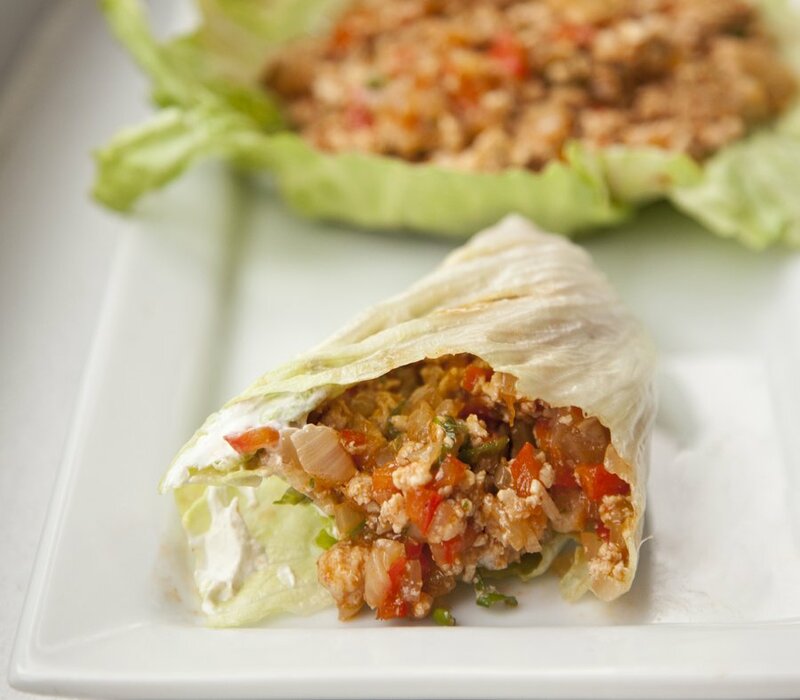 This recipe is super fast and easy, great for a weeknight dinner! In a medium skillet over high heat, cook your ground chicken until there's no pink. Remove and place in a bowl. In the same skillet, heat up a teaspoon of Olive Oil. Once hot, add in your onion and red bell pepper and cook about 5-8 minutes, until the onion starts to soften. Add in your garlic and cook another minute. 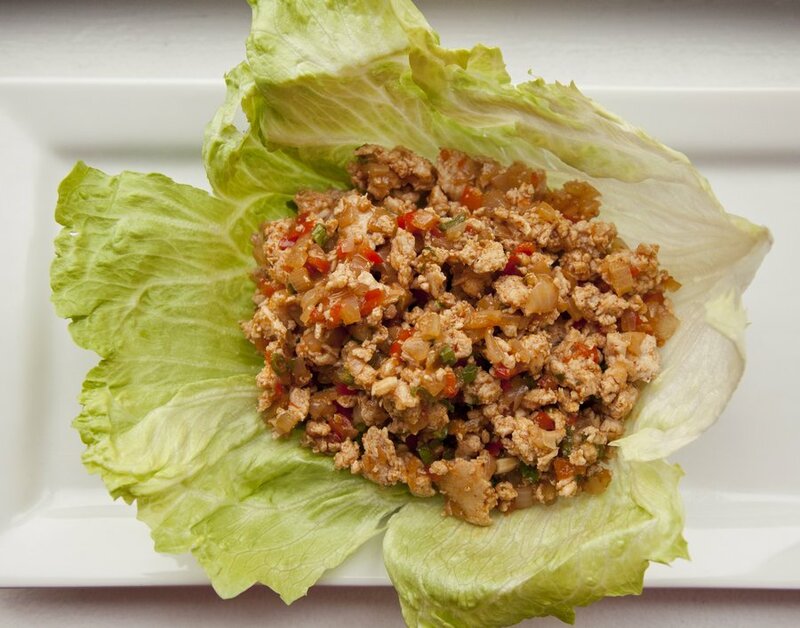 At this point, add back your cooked ground chicken to the skillet. Add in your hoisin, adobo sauce, & ginger powder. Cook about 5 minutes over medium heat. 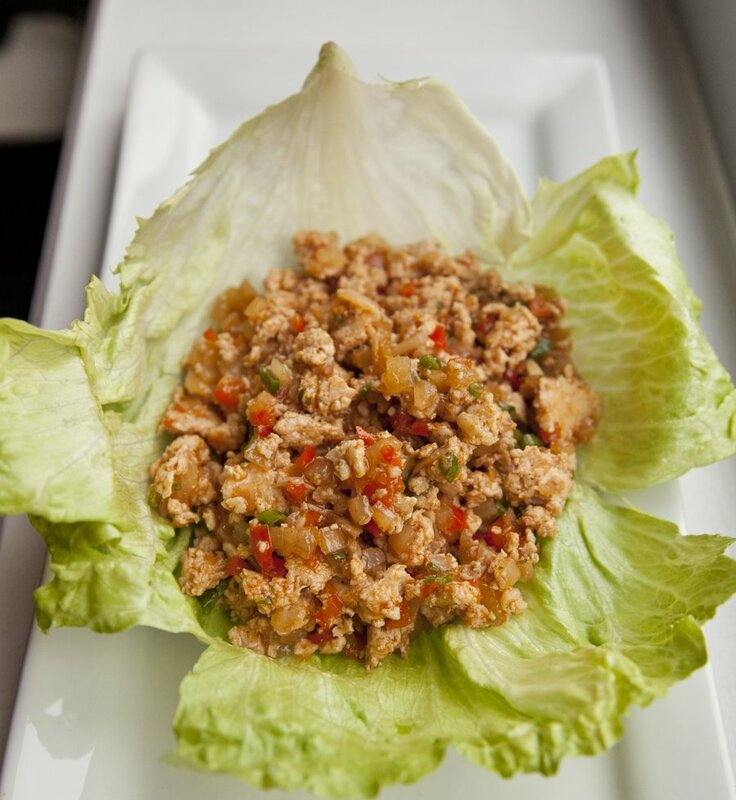 Remove from heat, add in scallions and cilantro, stir and scoop into lettuce leaves.